Apple’s(s aapl) fall product event takes place on Tuesday at 10am PT and both Om and I will be on hand to share our thoughts in a live blog. Given so many recent product leaks — they can’t all be wrong — there may not be too many surprises; at least when it comes to Apple’s iPad lineup. I’m looking for a few upgrades both inside and out. It’s a safe bet that Apple will shrink the 9.7-inch iPad with a smaller bezel and thinner profile, similar to last year’s iPad mini. That should reduce a smidge of weight without compromising on screen size. A minor camera sensor upgrade is likely as well and after using my iPhone 5s for a few weeks, I’m hoping to see Apple’s A7 chip inside the newest iPads. While not every app can take full advantage of the new A7 just yet, those that can are super speedy on my handset. I suspect the same performance on an A7-powered iPad for Apple’s native apps and those apps optimized for the chip. I’d also like to see the Touch ID sensor make its way from iPhone 5s to iPad; it’s excellent and convenient. This may be more of an item I’m wishing for rather than we’ll see because I’m not sure Apple’s supply chain is ready to mass produce retina display iPad minis. I’m hoping it is though because I love the 1920 x 1080 display on Google’s(s goog) Nexus 7; that high-resolution screen in a small form factor has made the small slate my go-to tablet. iPad mini fans would likely feel the same if they could get a high-resolution display on Apple’s smaller slate. This is a long shot because I don’t know that Apple’s pricing structure has room for another iPad. Surely, any tablet larger than the current iPad would be more expensive than the $499 starting price of a 16 GB 9.7-inch tablet. Once you start pricing for a new product line at $600 or more for the base model, you run closer to Apple’s MacBook Air cost. Of course, a tablet is a different form factor than a laptop, so it’s possible, even if unlikely. Sure, there are plenty of third-party options available if you want to add a keyboard to an iPad. But I think Apple could design and build one without equal, effectively turning the iPad into a MacBook Air that runs iOS. You can pick up Bluetooth iPad keyboards today for $40 and up but if Apple introduces one, I’d expect it to have a premium price. My guess? At least $99 for such a keyboard. I’d be even happier if Apple created some type of physical docking mechanism to connect an iPad to a keyboard; particularly if the keyboard included an additional battery option. That configuration would add weight and may not look refined though; plus the iPad’s battery is quite good already. A reduction in flash storage prices. This is probably the longest long-shot of them all but I’d be thrilled to see Apple reduce the cost to purchase an iPad with more storage. 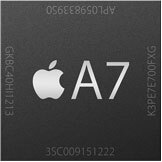 Currently, it costs $100 for each doubling of flash memory storage, which is a huge profit margin for Apple in this particular component. I’d like to see the upgrade price drop to a more reasonable amount. It only cost me $50 to upgrade my Moto X smartphone from 16 GB to 32 GB, for example. Apple could drop its upgrade price to $70 and I think it would be a win for consumers while Apple still makes a healthy profit margin. An alternative to this is for Apple to get more aggressive with overall pricing and drop iPad costs by $30 on each model across the board. Of course, Apple is sure to show off OS X Mavericks and hopefully the new Mac Pro it teased in the summer. These are certainly important products, but iOS is the big money-maker for Apple as mobile becomes a bigger priority. That’s why I’m focused more on what’s new for the iPad line. 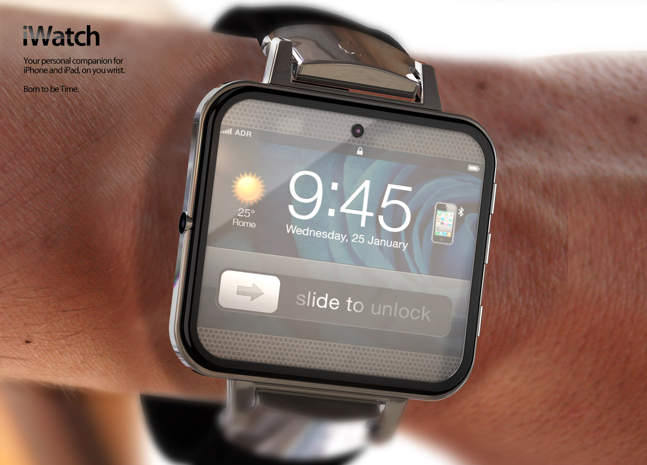 We’ve been talking a lot about wearable computers this year but I doubt we’ll see such a product yet from Apple. The company won’t debut a wearable device until it feels it has something that can really shock these early days of the smartwatch market. Simply adding apps to the wrist or creating a second screen for an iPhone won’t likely be how Apple enters the wearable market. Instead, I’m expecting something more innovative with contextual personal assistant features. Siri isn’t quite ready to take on Google Now in that regard, so my expectation is that Google debuts a watch before Apple does. Wouldn’t it be nice to get the laptops updated? And, while we’re at it, the minis as well!! And, instead of concentrating on the purely mobile, how about improving some of the base OS-X tools, things that still don’t work as well as they should after 10 years; I’m thinking Safari, Mail, Contacts, Calendar, and other basics. It sure would be nice if we could have one environment in which to run all our activities (in my case, I need both OS-X and linux)…. I’d like to see Apple offer their customers the option to be able to expand storage externally if we wish to, comes in handy for the photo’s , MP3’s and Movies. Keyboard will be pretty cool folks!!! I love my iPad but there are times when I need to do a lot of typing, and being a poor man, I can’t afford an MBA. A few days ago I bought a Chromebook. I wasn’t sure I’d like it, but I find it actually works pretty well. Uh, didn’t Apple already design a keyboard? Oh yeah, it’s the wireless one I’ve been using with my MBP and my iPad for a couple years now! Seriously, this is one road Apple doesn’t need to go down – there simply isn’t much of a market for a keyboard/docking combo a la Microsoft Surface. There might be a market for covers that double as a keyboard – but a small market at best. An iPad with a stand and a cover/keyboard is a poor-man’s substitute for a MacBook Air. Bluetooth 4.0 please. I’m tired of recharging batteries every couple of months. 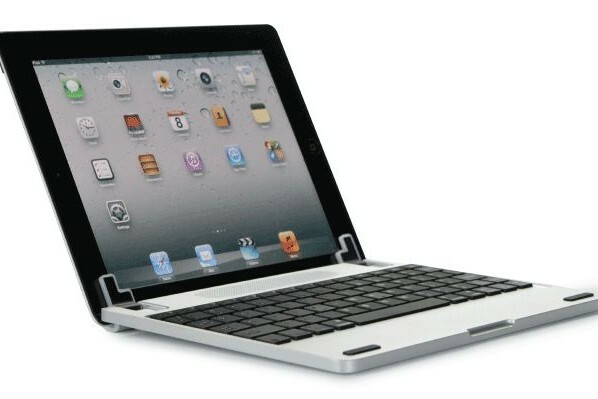 new iPad covers with keyboard. I will be disappointed if Apple releases an iPad keyboard. To me, that’s moving backwards. If you need a keyboard, there is nothing better than a MacBook Air. I’d rather see Apple keep trying to move forward with the iOS devices. For example, focus on continuing to tighten up voice dictation accuracy, don’t get distracted by yesterday’s keyboard solutions. Now that I’ve spent a lot of time using dictation and I understand how to optimize my diction for it, I find it to be very good. It is such a grind to go back and insert text manually. Dictation isn’t a good solution in public places though, so I always have my MBA with me too, if there is work to be done. The 11″ MBA and the iPad are both thin and light enough so that I can carry both with me. There is no difficult “which one should I take?” choice that needs to be made. An MBA with a touch screen would be no substitute for an iPad, and an iPad with a keyboard would be no substitute for a MBA. Either option is an unnecessary compromise for minimal benefit, in my opinion. when is the next keynote planned ?